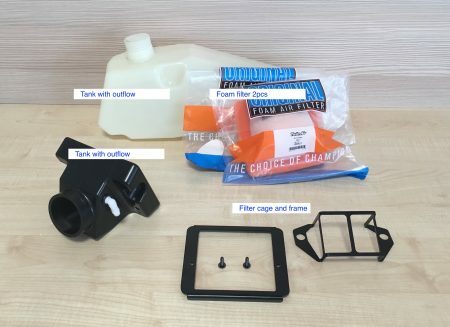 Please note the “Upgrade kit” is set of selected sub-parts for customers of the previous tank kit version. The “Upgrade kit” is NOT complete tank kit! You can order the “full tank kit” HERE and it includes all updates. 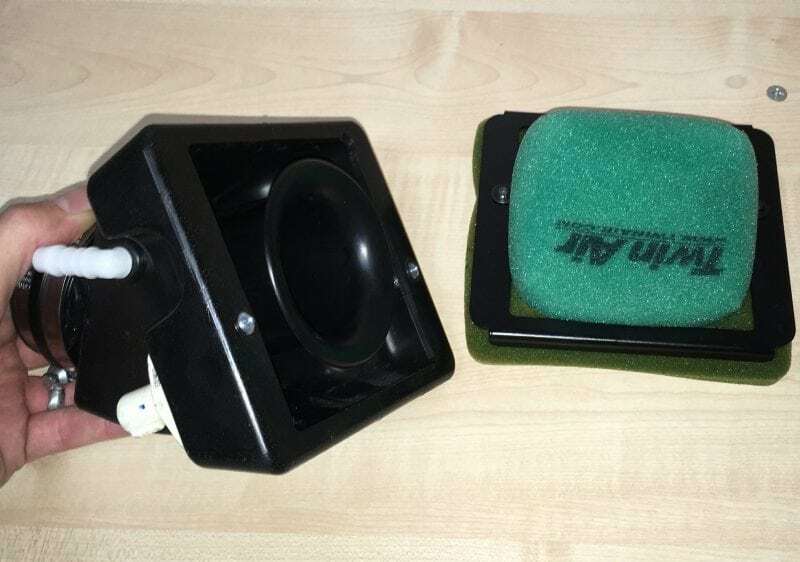 The foam filter from TwinAir, designed specifically for our kit ensure great dust prevention. These filters are reusable and environment friendly. 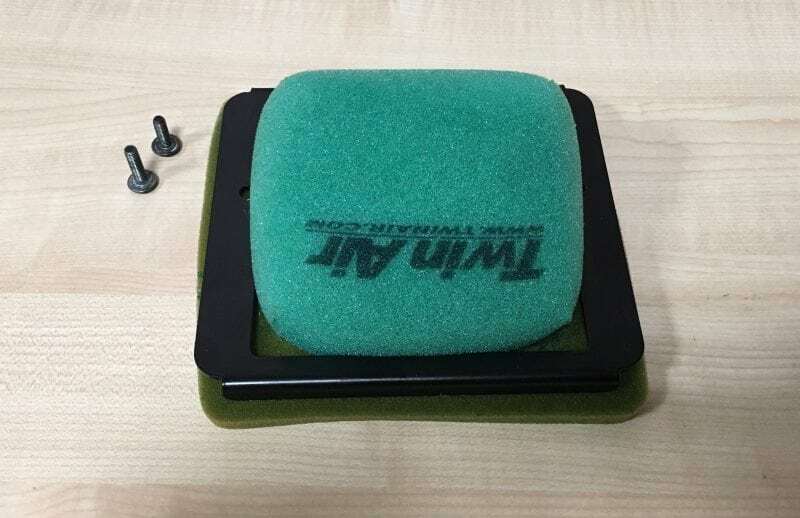 You get two foam filters in the upgrade kit, allowing you to quickly swap and be always ready for new adventures. There is direct access to the foam filter. You loose only two bolts and take out the filter from the frame and easily put on a new one. Replacement takes only few minutes and can be even done “trail side”, making long dusty rides easy on your engine. New smaller airbox that uses the OEM intake and flange, ensures better fit to the engine. It holds heat sensor and also integrates venting of the SAS and crankshaft. Provides significantly better protection compared to the OEM paper filter. 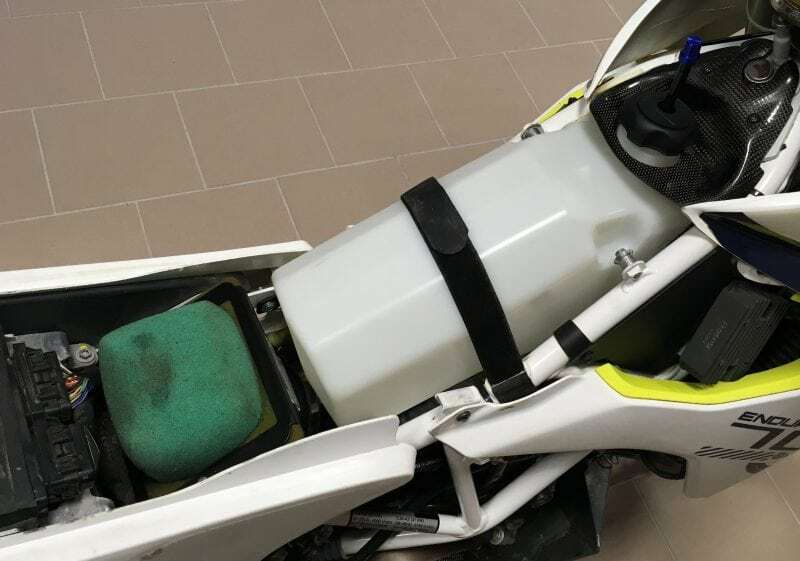 How does Husqvarna 701 auxiliary tank and air filter upgrade kit works? What is included in the Husqvarna 701 auxiliary tank and air filter upgrade kit?